While American internet giants are developing speakers, Japanese companies are working on robots and holograms. They all share a common goal: to create the future platform for the Internet of Things (IoT) and smart homes. Names like Bocco, EMIEW3, Xperia Assistant, and Gatebox may not ring a bell to most outside of Japan, but Sony, Hitachi, Sharp, and Softbank most certainly do. The companies, along with Japanese start-ups, have developed robots, robot concepts, and even holograms like the ones hiding behind the short list of names. While there are distinct differences between the various systems, they share the potential to act as a remote control for IoT devices and smart homes. It is a very different direction than that taken by companies like Google, Amazon, and Apple, who have so far focused on building IoT speaker systems. “Technology companies are pursuing the platform—or smartphone if you will—for IoT. My impression is that Japanese companies—and Japanese consumers—prefer that such a platform should not just be an object, but a companion,” says Kosuke Tatsumi, designer at Yukai Engineering, a startup that has developed the Bocco robot system. “EMIEW3 is able to communicate with humans, thus receive instructions, and as it is connected to a robotics IT platform, it is very much capable of interacting with IoT-based systems,” the spokesperson said. Gartner analysis predicts that there will be 8.4 billion internet-connected devices—collectively making up the Internet of Things—by the end of 2017. 5.2 billion of those devices are in the consumer category. By the end of 2020, the number of IoT devices will rise to 12.8 billion—and that is just in the consumer category. As a child of the 80s, I can vividly remember how fun it was to have separate remote controls for TV, video, and stereo. I can imagine a situation where my internet-connected refrigerator and ditto thermostat, television, and toaster try to work out who I’m talking to and what I want them to do. Consensus seems to be that speech will be the way to interact with many/most IoT devices. The same goes for a form of virtual assistant functioning as the IoT platform—or remote control. Almost everything else is still an open ballgame, despite an early surge for speaker-based systems, like those from Amazon, Google, and Apple. 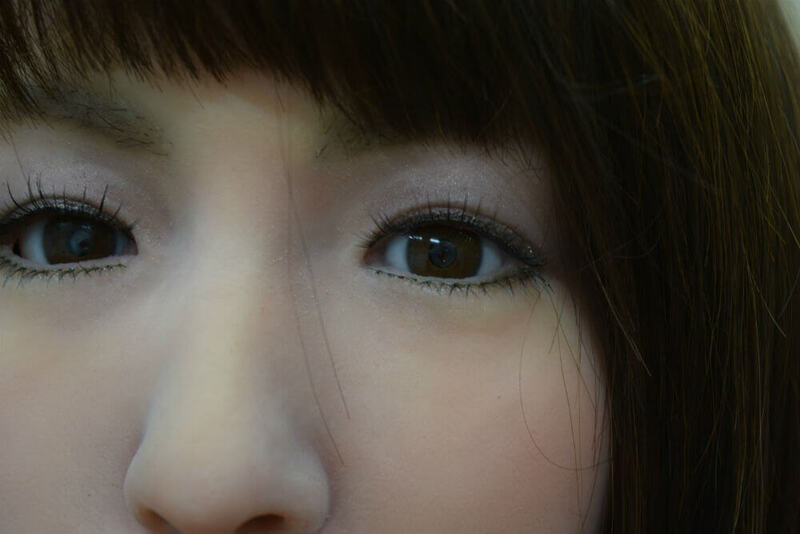 Famous android creator and robot scientist Dr. Hiroshi Ishiguro sees the interaction between humans and the AI embedded in speakers or robots as central to both approaches. From there, the approaches differ greatly. Another advantage is that robots are more kawaii—a multifaceted Japanese word that can be translated as “cute”—than speakers are. This makes it easy for people to relate to them and forgive them. “People are more willing to forgive children when they make mistakes, and the same is true with a robot like Bocco, which is designed to look kawaii and childlike,” Kosuke Tatsumi explains. So, what exactly do these robot and hologram companions look like, what can they do, and who’s making them? Here are seven examples of Japanese companies working to go a step beyond smart speakers with personable robots and holograms. 1. 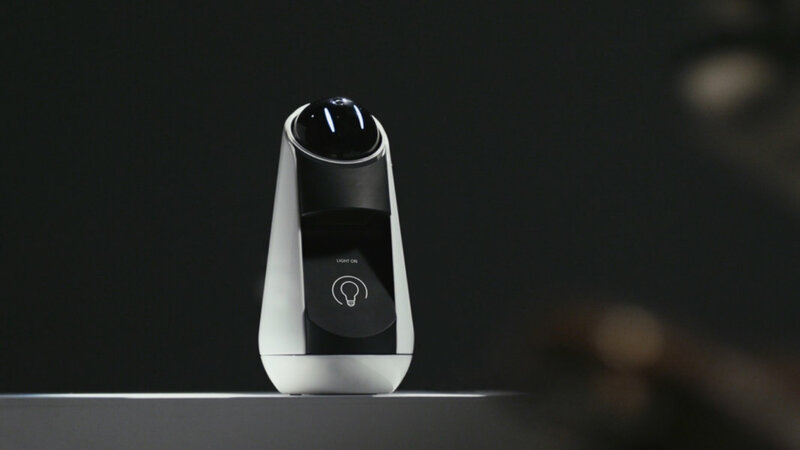 In 2016 Sony’s mobile division demonstrated the Xperia Agent concept robot that recognizes individual users, is voice controlled, and can do things like control your television and receive calls from services like Skype. 2. Sharp launched their Home Assistant at CES 2016. A robot-like, voice-controlled assistant that can to control, among other things, air conditioning units, and televisions. Sharp has also launched a robotic phone called RoBoHon. 3. Gatebox has created a holographic virtual assistant. Evil tongues will say that it is primarily the expression of an otaku (Japanese for nerd) dream of living with a manga heroine. Gatebox is, however, able to control things like lights, TVs, and other systems through API integration. It also provides its owner with weather-related advice like “remember your umbrella, it looks like it will rain later.” Gatebox can be controlled by voice, gesture, or via an app. 4. Hitachi’s EMIEW3 robot is designed to assist people in businesses and public spaces. It is connected to a robot IT-platform via the cloud that acts as a “remote brain.” Hitachi is currently investigating the business use cases for EMIEW3. This could include the role of controlling platform for IoT devices. 5. Softbank’s Pepper robot has been used as a platform to control use of medical IoT devices such as smart thermometers by Avatarion. The company has also developed various in-house systems that enable Pepper to control IoT-devices like a coffee machine. A user simply asks Pepper to brew a cup of coffee, and it starts the coffee machine for you. 6. Yukai Engineering’s Bocco registers when a person (e.g., young child) comes home and acts as a communication center between that person and other members of the household (e.g., parent still at work). The company is working on integrating voice recognition, voice control, and having Bocco control things like the lights and other connected IoT devices. 7. Last year Toyota launched the Kirobo Mini, a companion robot which aims to, among other things, help its owner by suggesting “places to visit, routes for travel, and music to listen to” during the drive. One of the key questions is whether this emerging phenomenon is a purely Japanese thing. If the country’s love of robots makes it fundamentally different. Japan is, after all, a country where new units of Softbank’s Pepper robot routinely sell out in minutes and the RoBoHon robot-phone has its own cafe nights in Tokyo. It is a country where TV introduces you to friendly, helpful robots like Doraemon and Astro Boy. I, on the other hand, first met robots in the shape of Arnold Schwarzenegger’s Terminator and struggled to work out why robots seemed intent on permanently borrowing things like clothes and motorcycles, not to mention why they hated people called Sarah. However, research suggests that a big part of the reason why Japanese seem to like robots is a combination of exposure and positive experiences that leads to greater acceptance of them. As robots spread to more and more industries—and into our homes—our acceptance of them will grow. 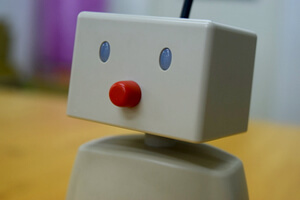 The argument is also backed by a project by Avatarion, which used Softbank’s Nao-robot as a classroom representative for children who were in the hospital. “What we found was that the other children quickly adapted to interacting with the robot and treating it as the physical representation of the child who was in hospital. They accepted it very quickly,” Thierry Perronnet, General Manager of Avatarion, explains. His company has also developed solutions where Softbank’s Pepper robot is used as an in-home nurse and controls various medical IoT devices. If robots end up becoming our preferred method for controlling IoT devices, it is by no means certain that said robots will be coming from Japan. “I think that the goal for both Japanese and American companies—including the likes of Google, Amazon, Microsoft, and Apple—is to create human-like interaction. For this to happen, technology needs to evolve and adapt to us and how we are used to interacting with others, in other words, have a more human form. Humans’ speed of evolution cannot keep up with technology’s, so it must be the technology that changes,” Dr. Ishiguro says.